Lake Pointe Dental is here for you! Doctor Mendoza looks forward to giving you the smile you deserve. Our entire staff is dedicated to make your visit relaxed and anxiety free. We really care about our patients and it shows. Lake Pointe Dental is committed to providing the most caring and professional dental services in the Frisco area for you and your family. We love families and our caring staff will make even the youngest member of your family at ease when you visit our practice. From digital X-Rays and Intra-Oral Photography to Paperless Foms. 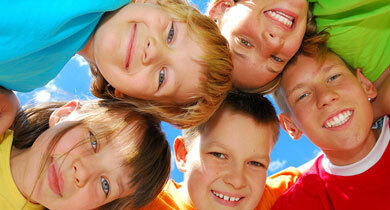 Lake Pointe Dental offers the best for you and your family. You deserve a smile you can be proud of. At Lake Pointe Dental we specialize in creating and restoring your smile. 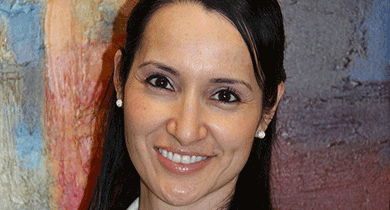 We are very pleased with Dr Mendoza, she is super friendly, patient, explained clearly the treatment and payment fees! This place is awesome! Renee, the dental hygienist, is amazing! Love her. As always the experience of today with the service of all the staff of lake point dental was outstanding. Just please keep providing the excellent service you always do. I highly recommend to my family and friend the services of Lake point Dental. Efficient and friendly doctor and staff. I have more than 5 years coming to Lake Pointe Dental, Dr. Michelle Mendoza and her staff are very professional and kind, service is outstanding... I always enjoy my visit to Dentist...!! Thanks...!! So glad I decided to come to your office! Always friendly and relaxing to be with in the office. Ghazala was very thorough and kind. FR. Mendoza is extremely professional. I am always well-pleased and recommend this office highly! All who work in this office are very courteous and professional. Felt like I was well cared for by hygienist and Dr. Mendoza. Honest and did not push unnecessary treatment plans. Everyone was awesome and have no problem referring anyone to this office. Everyone makes me feel comfortable and Dr. Mendoza is simply the best!! My Children have been Going to Dr. Mendoza for several years now and they both love her and her staff. Dr. Mendoza and Staff make you feel right at home and are happy to answer any questions in a warm environment. I can't imagine going anywhere else. I'd like to Thank all of the Staff, very helpful & pleasant, Dr is very gentle & empathy on procedures being performed. I wishe all of Lakepoint Staff a very Merry Christmas !! This Dentist office is nice and the staff are fantastic. This is a highly professional and qualified dental office. 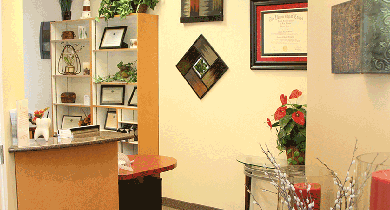 The office is clean, the staff is efficient and friendly, and Dr. Mendoza is competent and caring. everyone was very nice and enjoyed everyone's concern. I wound definitely recommend anyone. The staff was awesome and fun to be around. Molly the Hygenist is ABSOLUTELY WONDERFUL. I do not like coming to the dentist, but she made me feel so comfortable. I will definitely be bringing my family here. Also Cynthia was so helpful with scheduling my appointment and verifying my insurance. I was very pleased with the front office staff!!! We love you guys! Thank you for everything! God bless you all! Again, thank you for the quality service and care. You ALL are the best! Dr. Mendoza and the staff are the bomb.com!! Thank you for taking care of me. The best careing team ever. Thank you!! Dr. Mendoza is absolutely the best! Whenever I have a dental appointment all the staff are very pleasant and caring. Doctor Mendoza is an extremely warm and caring person. I always comfortable in their environment. The office staff, hygienists and dentist are always very friendly and professional. My kids actually look forward to a dentist appointment! We love how friendly everyone is at this office! My kids actually look forward to dental appointments! Well pleased with the professionalism and friendliness. I had come in for a implant, due to a broken tooth. I was a new patient and was very nervous but, they did a fabulous job. Claudia, I believe one of the hygienist, was very sweet and helpful. I definitely will be back. Very professional staff with a keen regard for making me feel relaxed. Dr. Mendoza is a very thorough diagnostician and explains my concerns most adequately. I am very comfortable! Always a pleasant experience. Staff is wonderful as is Dr. Mendoza. Thank you! I've been coming here for years because of the great staff and Dr Mendoza. Their amazing with kids. I love it that they work with you on what you can afford and don't make you feel like your wasting there time. super great service. I like this place. The Dr is very nice. I just met Terrie today and she was wonderful. A pleasure to talk with and very thorough on my cleaning! Thank you guys!! I have had all good experiences with this dental company. they went overboard to make sure that a "trip to the dentist" was as pleasant as possible. I always feel very comfortable because everyone is so friendly. I've been to many different locations to live and work. Lake Pointe Dental is by far the best I've experienced. Along with excellent technical care, the staff holds you in the palm of their hands as we do routine tasks or serious and complicated actions all under the excellent leadership of Dr. Mendoza. It is much appreciated! Today was my first visit and I was very happy with Dr. Mendoza and her staff. Very professional. The office was clean and comfortable to be in. Dr. Mendoza made me feel confident that I had selected a Dentist knowledgeable in the procedures relating to the placement of the abutments and crowns on my two implants. Office Staff was absolutely wonderful!!! My experience at the Dentist office on Monday March21 was very good. All the staff there are so caring. I highly recommend Lake Point Dental Practice. I've been going here for 8 years this is the best Dentistry office I've had a great experience here Dr. Mendoza is very talented very Careful and enjoyable!!! I look forward to my appointments. The best office ever I enjoy the staff and Dr. Mendoza is the best. ..she is talented, careful ,takes great care of her patients! All of the staff here are rated A+ in my opinion I look forward to my appointments! I recently moved from Arizona to this area and was looking for a dental practice that could replace my 17 year relationship with my prior dentist. I was fortunate enough to find one. From my initial questions to the office staff and later with the dental hygienist, the doctor and the financial representative; I was completely impressed with their friendliness, knowledge and professionalism. I have recommended Lake Pointe Dental to my wife, which speaks volumes to my satisfaction. Love Dr. Jackson, Cynthia and the team! Very thorough and they all explain every step of the procedures. New hygienist had a great chairside manner. This office was so awesome. I walked in shaking and about to cry because I was so nervous and the team truly made me feel at easy. It wasn't about lecturing and poking fun, it was truly about helping me and I am so happy. I am glad I went. Everything about this dental practice is exceptional. Wouldn't go any where else! Great service! The staff are very warm... They just dont treat my family as their patients... They are treating us as family...keep it up guys!!! Thank you so much for all you do... Happy new year!!! Everyone was so friendly and personable. The treatment and procedures used were professional. I have already told my neighbors about my experience. The staff is so friendly. They answer your questions successfully. They explain everything you need to know. After bad experiences elsewhere, I am glad I chose lake point dental! Everyone in this practice is friendly and caring. Amables y profecionales. Gracias por su atencion con mis hijos. The staff is very friendly. I always feel at ease when I am have any work done. I loved the hygienist today. She did a great job and was very personable. Definitely a friendly atmosphere. Employees leave their egos in the car. I really like my dental hygienist. She is thorough and caring. Today was a very good experience for me. Thank you! Loved Susan, my hygienist! And Dr. Jackson is great! All the staff are so friendly. Really like the way way they treat the potencies. No improvements necessary. Always a great experience. Having movies to watch during the procedure is an excellent touch for making the time go by faster and reducing the fear/tension during the procedure. Love it. Love the dental hygienist. She's always so pheasants, nice and caring. I love everything about this dental office. The honesty and sincerity of really caring really comes across. Thanks for the great service. Very friendly team. Make you feel relaxed and confident. Everyone was very helpful today.I came in to change the date I had in Oct. as I would not be here and they were very kind and took me in today after I explained why I had to change the Oct. appt.. These are wonderful people in this Dental office. I would like to thank you Dr Mendoza and her great team for the excellent jobs they have been providing to me and my family always. Great job!!! The Drs and staff are so pleasant! I enjoy my visits and my teeth look great! Thank you for the quality care and service you always provide. The entire staff is awesome! We are never disappointed with Lake Point Dental, we love coming to get our teeth cleaned here!! Great service, great people....congratulations, outstanding team. Thanks....!!! The staff and doctors are very friendly and always put me at ease. I appreciate all the reminders (text and email) about my appointment (I'm absentminded). My major procedures have always been quick and surprisingly pain less. Loved the extra care you took with my kids in the lobby who were not the patients today. Thank you. Thanks to all of you from Dr. Mendoza to the rest of the staff for always providing outstanding care and service. And thanks for being flexible and working with me when the need sometimes arises to cancel or reschedule an appointment. Your patience, understanding is so much appreciated. Everyone in the office is always so sweet, friendly and very professional ! Friendly, fabulous and excellent service! Thanks. Everyone is friendly and make you feel comfortable; which, is not always true at a dental office. I love dr Mendoza . It's always a great experience. Never any complaints. I got 7 years with late point dental and I feel really comfortable. Very satisfied with the care I receive in this clinic! Good job Giz, Kristen and dr. Mendoza!!! The people in your practice are so special! They treat me like family. Love it! The staff was great and understanding. I have lost 2 family members since January and had not taken as good care of my teeth as I normally try to and they were very kind to me. Everyone at Lake Pointe is very nice and makes you feel comfortable. Dr. Mendoza and her staff are most considerate and go out of their way to make you as comfortable as possible. Thank you. I appreciate your always gentle touch and thoroughness. Thank you to the entire staff! The staff are friendly and helpful. We have been going here for about 6 years and would not go anywhere else. Everybody here is amazing my entire family comes here and we all love it. I was very grateful that Kristen was able to work me in on such short notice and very pleased with the appointment. Thank you. The only no pain dentist I have ever been to. Thanks dr Mendoza , I love her , and staff member. always walk in feeling welcome and comfortable. everyone is friendly and not overwhelming. Dr. has great bedside manner. The service was excellent as always. Lake Pointe Dental has served me well for several years. I had a couple of emergencies and they always made time for me. I enjoy coming in there. You should also introduce your wonderful staff members, hygienist, assistants etc at your Web: http://www.lakepointedentaltx.com Have a good one. Everyone in the office is very nice. Always makes me feel very comfortable!!! Very fast service and the staff is very friendly and easy to talk to. My kids actually enjoy the dentist! Thank you for all your kindness and excellent service ....!!! Sincerely. Dr. Mendoza, treats with care!!! Friendly stuff. Thanks for taking care of me. JW. I have already recommended your office to numerous people. Love it!! Staff was very friendly, can't wait to go back for a cleaning! All the Dental staff are very pleasant whenever I am there. They make it a comfortable experience.Dr. Mendoza is such a friendly and lovely person to have as my Dentist. Everyone at Lake Pointe is friendly and helpful. I really do believe I have healthier teeth because of their genuine concern and consistency. On behalf of Michelle S. Mendoza, DDS and her staff, we extend our warmest welcome to Lake Pointe Dental. We believe in providing the most advanced dental care while maintaining a genuine sensitivity to the comfort level of our patients. We are a private general dentistry practice that also provides a variety of additional dental care specialties including Cosmetic, Sedation, Family and Pediatric Dentistry. At Lake Pointe Dental, the majority of the standard dental care needs of your family can be provided. Whether you are seeking dental care for yourself, your children or any other members of your family, we promise that all will be treated with the highest standard of care. Patient satisfaction and excellent dental care are our highest priorities. SOPROLIFE offers us the ability to detect tooth decay at different stages of its development thus allowing us to determine the most adequate treatment. SOPROLIFE® is more accurate in identifying the development of dental cavities. This mode speeds up the decision making process in treatment planning and enables safer options for our patients by possibly reducing the number of x-rays. Clinical performance is enhanced as SOPROLIFE enables us to visually differentiate between infected and affected hard and soft tooth tissue in the excavated site. This mode not only enables us to communicate more effectively with your, the patient, but also gives us the ability to see details which are invisible to the naked eye.